Gunvault MicroVault Safe allows you to rapidly access your pistol, while still keeping your firearms safely locked up. 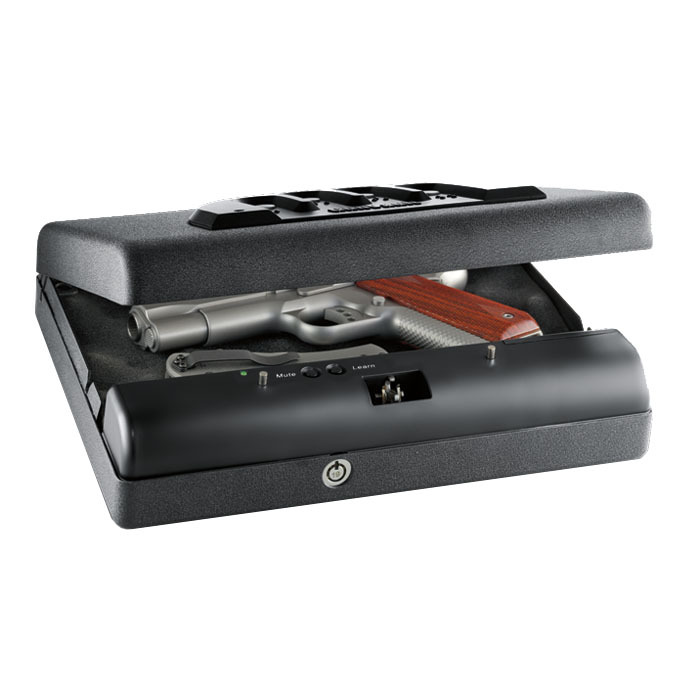 Constructed from heavy 18 guage steel, the Microvault features a quick access keypad, foam lined interior, programmable computer lock with key lock override, tamper-proof and audio and LED low battery warning. Includes high strength steel security cable. Outer dimensions: 11.0"L x 8.4"W x 2.3"H.